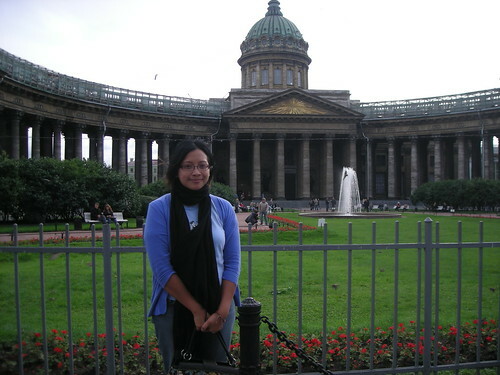 ST. PETERSBURG – My neighborhood reminds me of the 3rd Arrondisment in Paris (6 years ago). 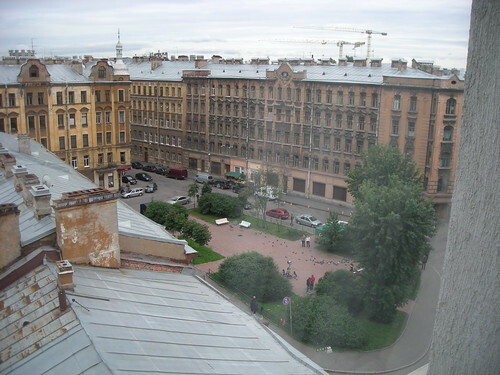 This is the view from my hotel room. 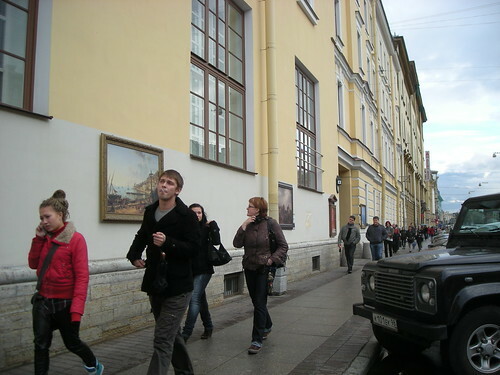 The other day – a film crew was shooting a scene in that area. I think it was a fight scene since one of the actors ended up on the ground, clutching his side. Last night, I went to dinner with my translator. I was waiting for the at the metro stop and she was running late. I figured I could use the extra time to shoot this little video about my neighborhood. (Facebook peeps and RSS readers – you can watch the video on my blog entry). 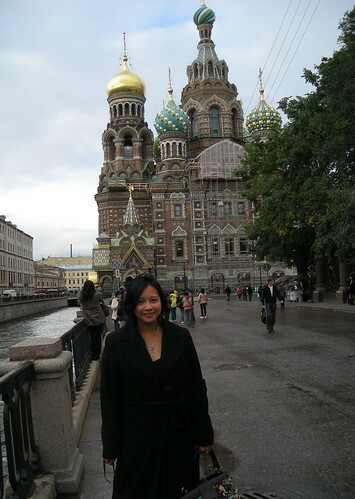 ST. PETERSBURG – I’ve been able to snap some photos of myself in St. Petersburg thanks to my Russian hosts and my translator, Shuana. It’s just darn awkward when I attempt to frame up a photo of my face all by myself. I’m grateful to have another human being who can shoot a decent picture. 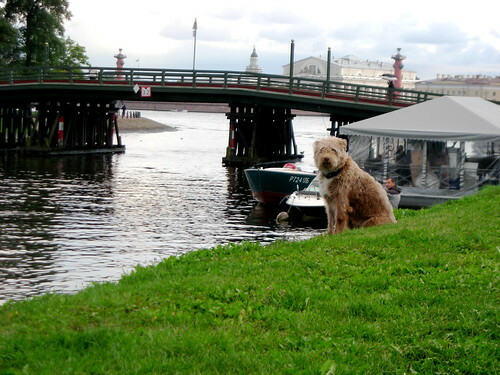 The other day, Shuana introduced me to Nevsky Propsekt. 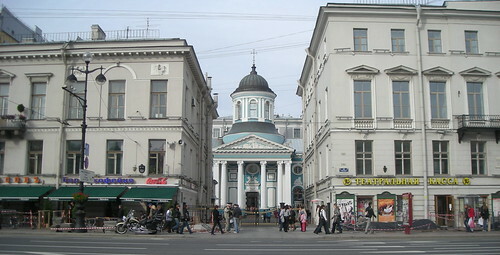 This busy street has an eclectic mix of classic buildings like the Kazan Cathedral and modern, high-end shopping areas.